We were somewhat premature back in May in announcing the end of the Prosport 3000 in British GT competition. Ian Stinton intends to enter his previously GTC-classified car in the GT2 class for the two hour Silverstone International round on September 24. 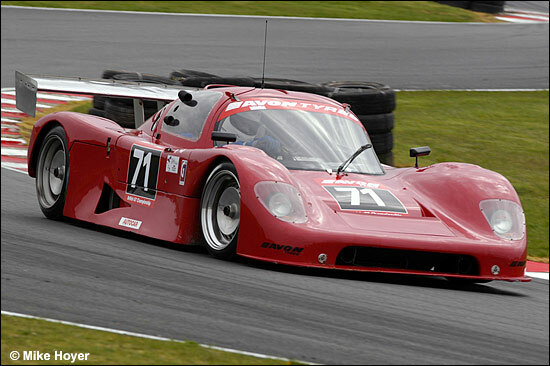 This is the car driven solo by Ian to an excellent second in class at Oulton Park (the best ever finish by a Prosport in the Championship - photo, below) and which then led the GTC class at a greasy Donington Park, in the hands of Simon Pullan. Since then of course we have seen the protest and counter protest within the ranks, which resulted in the controversial decision to place the cars in the GT2 class, where popular opinion seems to agree they will be off the ultimate pace. That issue is still rumbling along, in a legal sense. With GT2 entry numbers struggling and a two hour race in prospect, Ian Stinton clearly feels that there is the potential for some giant killing and he will present his car once again next week. Spice C1 and Spice C2 Group C/GTP. 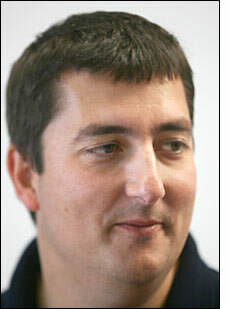 Ian Stinton is looking for a suitably qualified second driver for the Silverstone race.